Wow…what a party at Simon’s pub, The Green Dragon Inn, on Friday…read the previous blog for the details about the fun and frolics. After such a great night, Saturday was very much a recovery day, except for Nobby who decided to cycle the 30 miles home. However, the plan today was to start our Sunday morning ride at 8am from the Fox in Denchworth. THe WhatsApp text messages started early. Cricky dropped a message saying he had to pull out due to a ‘sore throat’, clearly down to copious amounts of gin over the weekend…then a text from Ben stating he couldn’t make it. So Nobby, Simon, JB and guest Neil headed off and as pre-arranged would meet Macca at the top of Sincome Hill. A gorgeous, if windy morning meant the guys met at the top of Sincome at 8.30am. It was then down the hill all the way to Lambourne…straight over the cross roads and up the long climb out and towards Froxfield. The route today, although short, was a testing 3,163 feet of climbing through some wonderful countryside and superb villages. 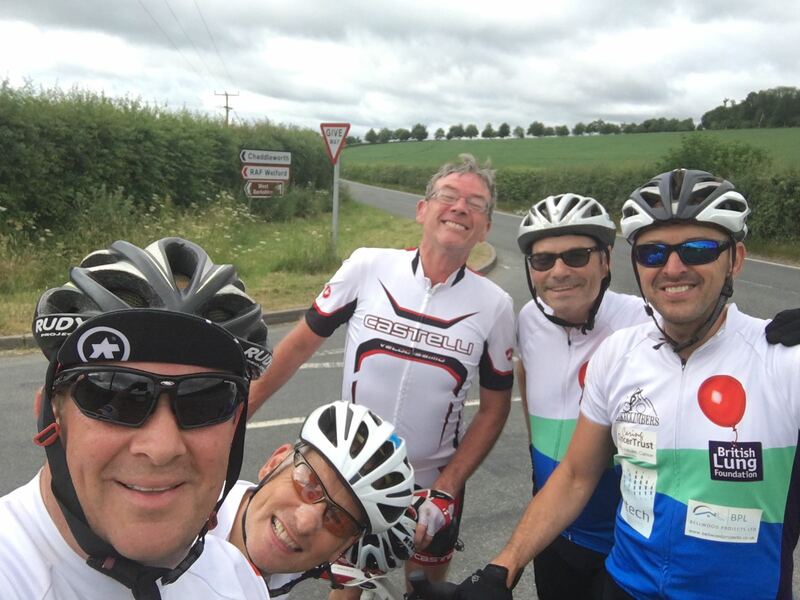 After a 17% gradient climb, it was undulating all the way to Great Shefford as the boys headed towards Wantage on the A338. A right turn sent us up two steep climbs past West Berks Golf Club and into Chaddleworth. The route took us through the beautiful Ilsley and then up the climbs to Farnborough, ready to get speedy as we turned right and headed towards Chain Hill. Simon took on the challenge…could he hit 80kph and break Ben’s land speed record on the decent? Simon’s Garmin peaked at 77kph, but apparently this was due to a strong head wind that prevented him flying past the target! Still very impressive. Great route prepared by Nobby, JB dived off early doors for a family BBQ and fun was had by all. A perfect ride after a very ‘challenging’ Friday night! Next week…Long, long, long rides!